Ron Merrell has been a regular speaker in recent years and always brings a thoughtful message mixed with an appropriate amount of humor. 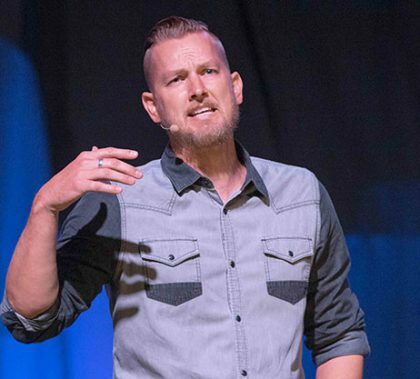 Monday, he urged students to make sure they’re still connecting with God daily, even when they feel overwhelmed by their end-of-semester challenges. He illustrated his point with a moving story about what happened to him after his father died. The Canyon Choral Society doesn’t just perform Handel’s “Messiah” every year, it does so on a grand scale. 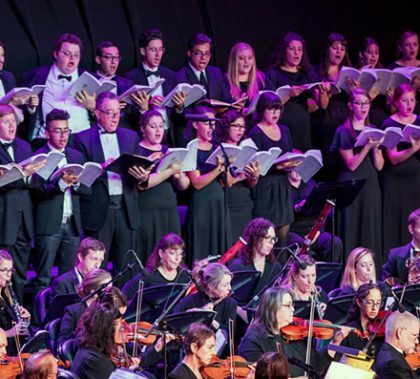 Tuesday’s concert at GCU Arena will feature almost the full version and will include a 110-member choir as well as the professional musicians of the Canyon Symphony Orchestra, four soloists and a high school choir. 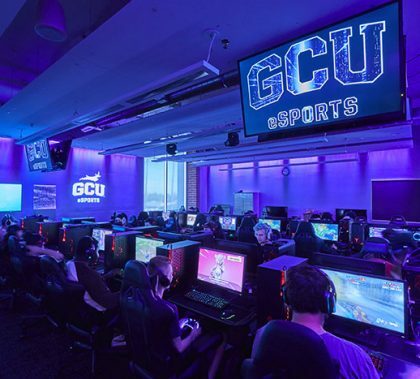 GCU has created a new home for students who enjoy playing esports: The 1,706-square-foot room in the Technology Building features 36 computer-gaming stations, seven PlayStation 4 and Xbox One consoles, and a tournament station with a 75-inch TV. Around the world, esports revenues continue to skyrocket. “The esports industry is poised to make far more money than what Hollywood makes at this rate, within like the next few years,” said Albert Lee, the newly hired GCU Esports Coordinator and a former esports consultant for the NCAA. 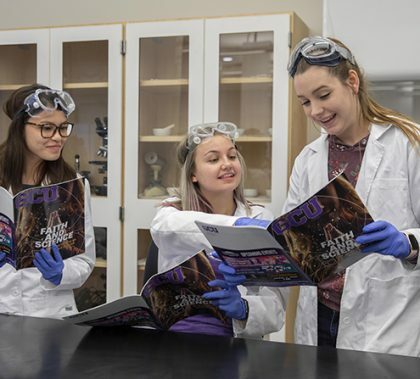 The November issue of GCU Magazine, available digitally here, explains in detail how the University’s Christian worldview governs its approach to teaching science. 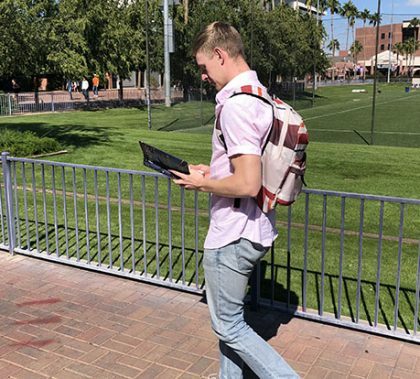 Senior writer Lana Sweeten-Shults’ in-depth report includes two other stories, on a virtual-reality project students are doing to bring the Bible to life and on students’ responses to an end-of-course survey asking how GCU’s integration of faith and science affected their personal faith. Other stories in this issue include inside looks at a growing trend in the Worship Arts program, basketball star Alessandro Lever’s improbable transition from Italy to GCU, the popularity of the new esports facility in the Technology Building, and how the College of Humanities and Social Sciences helped a student earn and then prosper in a major New York internship. Cancer has challenged the family of former ASGCU President Slate Herman in ways that defy belief. 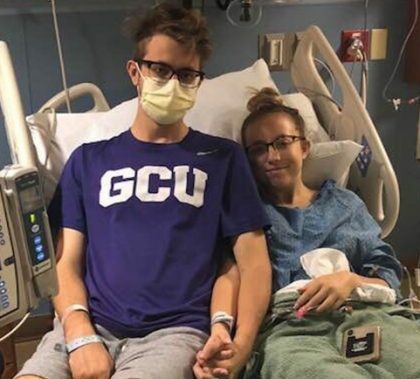 Not only did he lose his father and an older sister to the disease; he was diagnosed with leukemia in September — and then his sister Isabelle was, too. 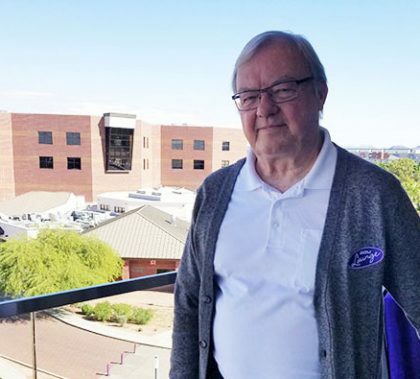 The news was shocking to the many people on campus who fondly recall his time at GCU. In the shadow of Veterans Day, GCU’s Wind Ensemble will perform a hero-themed concert called “Summon the Heroes,” featuring works that celebrate heroes of all kinds, from those who served in World War II to riders of the Pony Express and 18th-century fur trappers and traders. 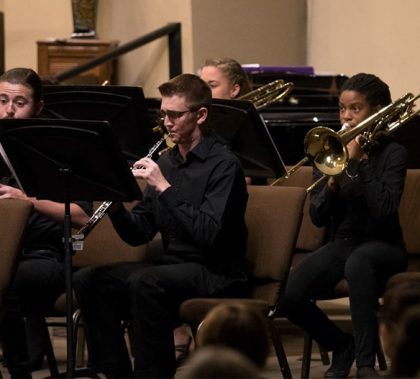 The concert, to be presented at 7 p.m. Tuesday at First Southern Baptist Church of Phoenix, also will mark the debut of the Black Canyon Chamber Winds. Dylan Nigh reads everywhere on the GCU campus. He reads while walking to class. He reads while eating Chick-fil-A. He reads while cooking Mexican food in his residence hall kitchen. After all that reading, classmates, friends and professors find that Dylan can talk about anything. 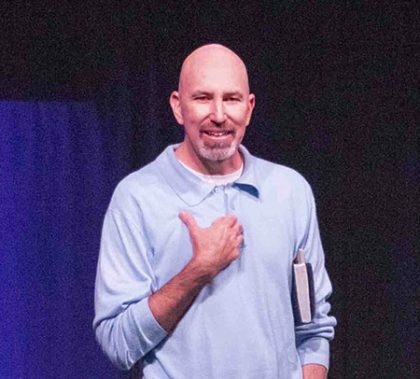 Speakers have brought props to Chapel before, but Robert Watson took it to the next level Monday — he brought a grill. One lucky student got a free grilled cheese sandwich out of it, and his audience got a strong message about how much God values us.